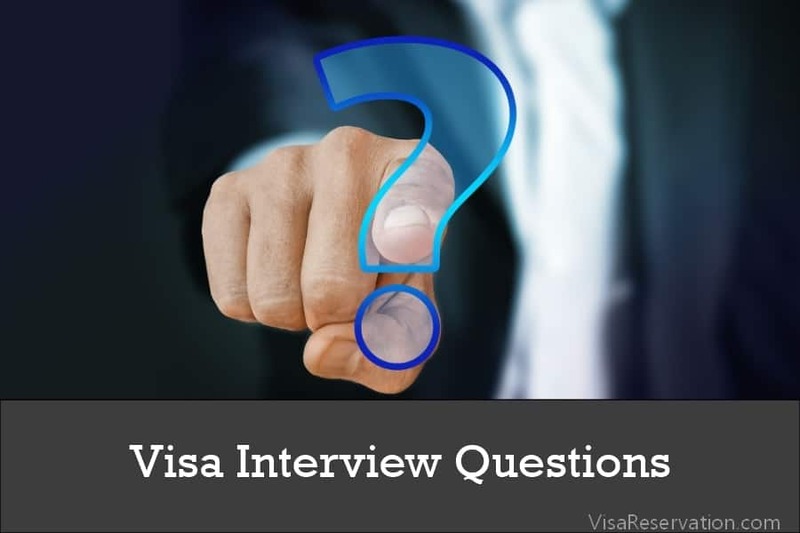 In this article, you will learn about the 30 most commonly asked visa interview questions. The visa application process is a complex series of activities that all applicants need to complete in order to be granted the visa. A key part of the visa application process is the visa interview. 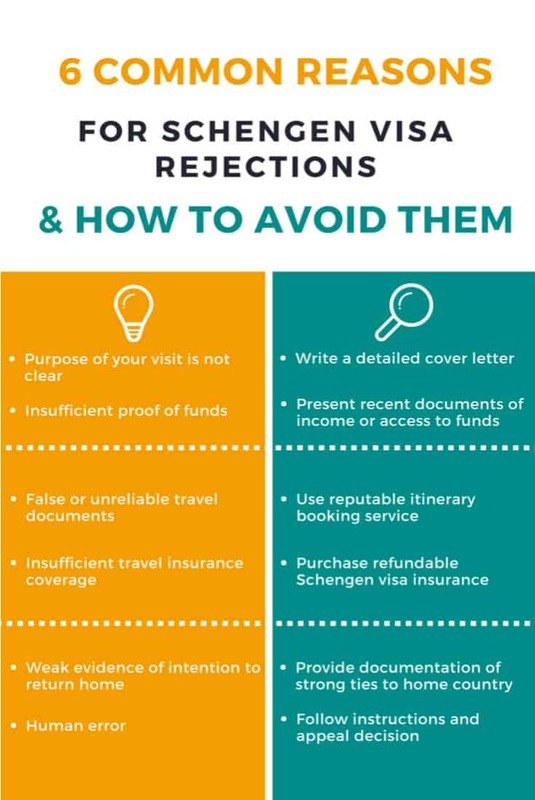 The Schengen visa interview is the most difficult part of the application process, and applicants must be well-prepared to answer the questions to the satisfaction of the Embassy interviewer. Here is a list of the 30 most common interview questions that are routinely asked during the Schengen interview. 1. Where do you reside in the country? Give the interviewer a detailed address of your residence. If you are staying at a temporary residence or have a secondary residence elsewhere, be sure to provide details of both residences. 2. 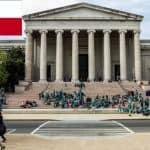 Which college/university do you study at? Are you on a scholarship there? This question applies to students. Mention the name of the college/university, give the interviewer the address of the institution. If you’re there on scholarship, explain the terms of the scholarship. It’s best to carry the college ID with you during the interview. 3. What is your educational qualification? Do you plan on studying in any of the Schengen countries? Mention your highest educational qualification. If you plan to study in the Schengen country, mention the course you are interested in studying, the country of your choice, and the year when you plan to apply for the course. 4. Are you married? Is your spouse/partner traveling with you? Why/why not? If you are married, mention the name and occupation of your spouse. If you are unmarried but have a partner, mention the name and occupation of your partner. If the spouse/partner is traveling with you, inform the interviewer of the same. If he/she isn’t, explain why that is so. 5. Do your parents/in-laws live with you? If they do, say yes. Give them details about your parents/in-laws, such as the name, age, occupation before retirement, permanent place of residence and so on. If you have children, mention their gender and names. You can also give details about where they study/work, whether they are minors or adults and if they plan to accompany you on the trip or not. 7. What do your children do for a living? If your children are employed, it’s best to get more information about their employers and job profiles. Memorize the information, so you don’t forget it during the interview. 8. Are you expecting? Are you planning to have the baby in the Schengen country? There are certain travel regulations for pregnant women, and it’s important that you answer this question honestly. If you are expecting, be sure to mention this to the interviewer. But also re-assure the interviewer that you do not intend to have the baby in the Schengen country and that you’ll be home before the delivery. 9. Your sibling/friend/parent is working in the Schengen area. Are you going to meet them for a job? If you do have a relative or a friend working in the Schengen area, it’s important to give the interviewer details about the person’s place of residence, employment details, and visa specifications. If the purpose of your visit is a holiday, assure the interviewer that you are only visiting the country on travel and not on business. But, if you do intend to work with your relative in the Schengen country, provide the details as well. 10. Do you run a business or are you working at a company? If you are self-employed, give your company’s registration details, business details, headquarter’s address, factory/warehouse details, employee statistics, and partner/s details. If you’re working for a company, provide the address and contact information of the organization. Carry the company ID with you during the interview. 11. Do you intend to take up a temporary job/internship in the Schengen area? This is valid for applicants who have applied for a long-term visa. Be sure to reassure the interviewer that you will follow all the visa regulations during your stay and will not take up any form of employment unless legally allowed. If you have been selected for an internship, submit the internship offer letter for appraisal, along with the contact details of the individual/organization. 12. Did you contact the university/company in the Schengen country or did they contact you? How many places have you applied at and where have you gotten through? This question pertains to those applicants who are visiting the Schengen country for study/work. Be sure to give a detailed list of universities/companies that were in touch with you for an open position prior to the visa application process. Submit the contact details of the universities/companies where you have successfully applied and received a position. 13. Do you have a Leave Approval Letter from your employer? If you are employed and are traveling on holiday, you will need to submit a Leave Approval Letter from your employer. Be sure to carry it with you during the interview. 14. When was the last time you paid your income tax? This is an important question designed to test your financial background and your honesty. Be truthful and answer accordingly. 15. Who is financing your travel? If you are financing your own trip, say so. Give your bank statement as proof for the same. If it’s your father/mother/spouse who is financing your trip, give his/her contact details and his/her income statement. 16. Do you own property in the country or in a Schengen state? If you own property in your country or the Schengen country, give the interviewer the address and ownership details of the property. 17. Who will take care of your property/business when you are on your holiday? Mention the name and contact details of the family/friends that will be taking care of your property/business during your travel. 18. What is the pension amount you get? Who is funding your trip? You will be asked this question if you’re a retired individual. Be clear about your pension details. Mention the year of your retirement and the amount of pension you receive each month. If you are funding the trip on your pension, mention so and explain how you plan to manage your expenses. If someone else is funding the trip, give their contact and income details. 19. What are the countries you are visiting on your trip? Mention the list of places you are planning to visit, in the order of the itinerary. Be well-informed about the dates, places of visit, accommodation, and travel arrangements. 20. Why are you traveling to this country/countries? There are five possible answers to this question – holiday, study, work, business, medical treatment. Answer honestly and give proof if your visit is for medical purposes. 21. Are you traveling alone or with another person? Mention the name, age, employment, and citizenship details of all your travel companions if you’re traveling in a group. 22. Have you already made the travel and accommodation arrangements in the country of the visit? If you have, say so and give the interviewer a copy of all the bookings you have made, with the contact details of the hotel/travel desk manager. 23. Why are you staying in this country for so long? This question is asked if you have applied for a long-term visa. Explain how the work you’ve planned to undertake (be it holiday or employment) needs time to be completed. Reassure the interviewer that you will come back before the visa expires. 24. 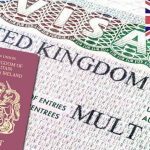 Why do you require a visa for such a long duration? Can’t you shorten the visit? This is a question that interviewers use to put applicants on the spot. Don’t get scared. Explain how you need the time to see the countries properly and how you will come back before the visa expires. But also mention that you are open to shortening your visit should there be a requirement from the Embassy and assure the interviewer that you will accommodate their requirements if the need arises. 25. Have you visited any other Schengen country before? If you have visited another Schengen country before, mention the dates of travel and provide copies of your visa or passport stamp as evidence. Mention the reason for travel and why you wish to visit the Schengen area again. 26. Are you aware which countries your visa covers and which it doesn’t? Do you know what the validity of your visa will be? Do some research beforehand and be completely sure about the countries your visa covers and which ones it doesn’t. Brush up on your knowledge about which countries fall under Schengen and which under EU. Also, be well-aware about the validity period of your visa. You should be able to give an approximate date range for the validity period of your visa. 27. Can you guarantee that you will return to your home country within the stipulated visa expiry time? Stress about your intention to return to the country after your Schengen visit. Explain how you have a family, friends, business, employment, and property here in the country and that you will come back before the expiry of the visa. Property documents, employment certifications, marriage certificate, and children’s birth certificates act as great evidence to support your answer. 28. Are you related to or have you ever been involved with any terrorist outfit/anti-social elements? Is anyone in your family? Reassure the interviewer that you belong to a respectable family and that neither you nor any of your relatives/friends have any ties to terrorist outfits/anti-social elements of any kind. 29. What will you do if we reject your visa application? Tell the interviewer that you will find out the cause of the rejection from the Embassy and that you will rectify the problem and re-submit the application. If, however, the problem takes time to be resolved, you will wait patiently for everything to be set right and will re-apply at a later date. 30. 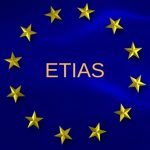 Why do you think you should be granted the Schengen visa? This is the most important question in the interview. Explain how you are extremely interested in the Schengen culture and how you would love to visit and experience the culture for yourself. You can also say that you are planning to pursue higher studies in the Schengen country and this holiday will help you make an informed decision. Finally, mention how you have the financial resources necessary to undertake this trip and return to the country completely enriched by your experience.